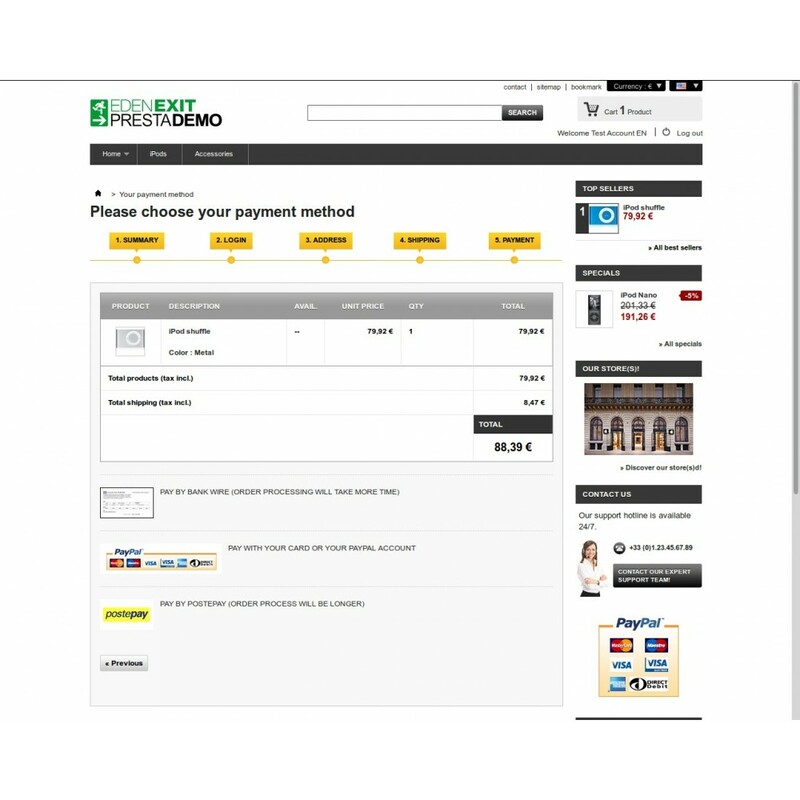 This module let you receive payments by PostePay prepaid cards provided by Poste Italiane. 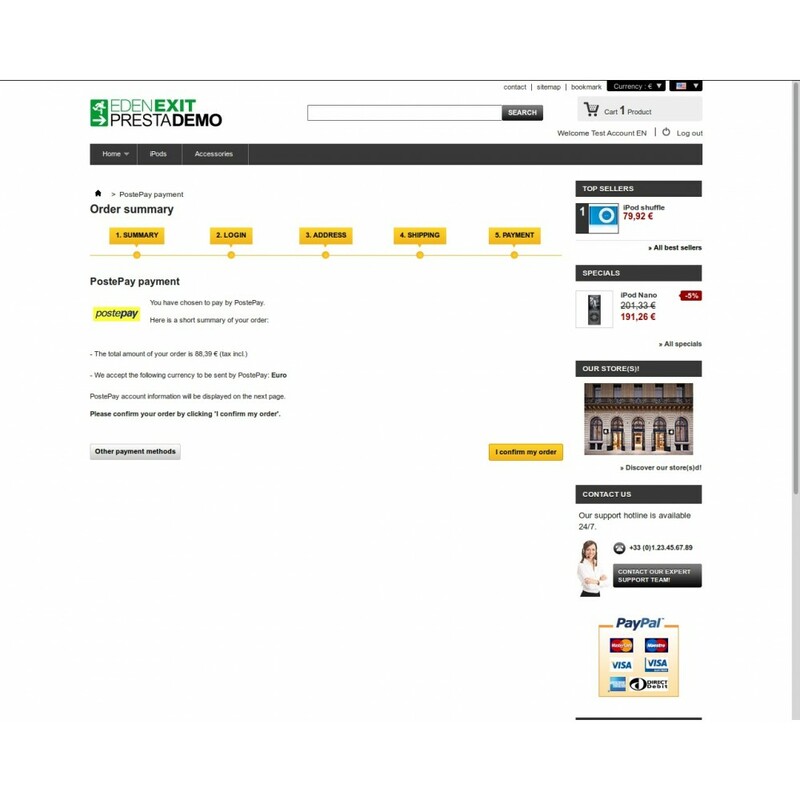 This module let you receive payments by PostePay prepaid cards by Poste Italiane. 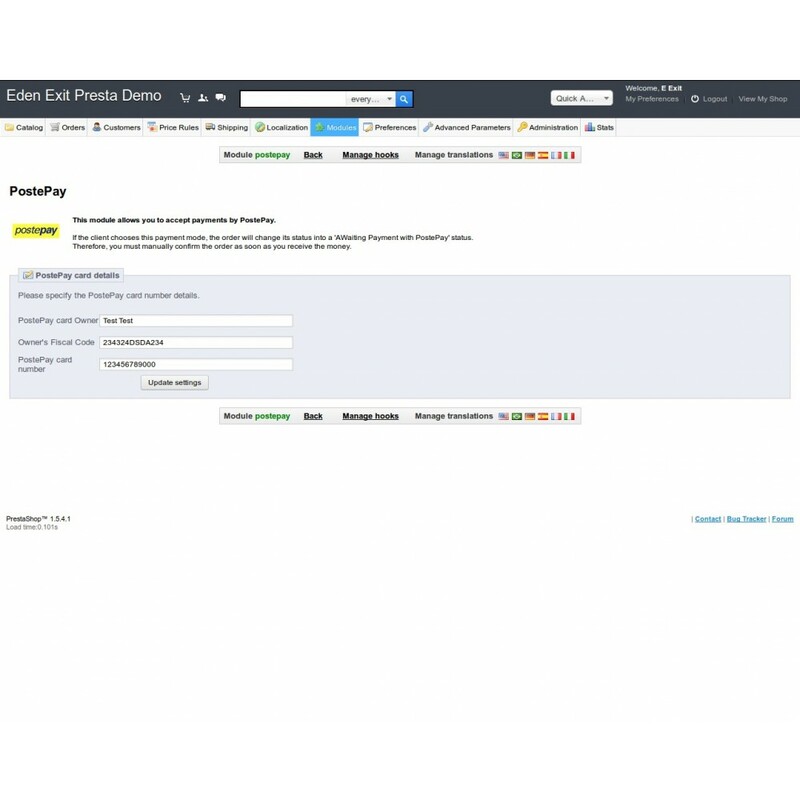 When a user select this gateway to pays an order with this gateway the order will be set to "Awaiting payment with PostePay", the user will receive an email with a resume of the details of the payment and a reminder to contact the seller after the payment to tell the order reference. How much are AdWords campaigns impacting on your online sales?With Google Adwords Conversion Tracking module for Prestashop, monitoring the conversion rate of your Adwords campaign couldn’t be easier. 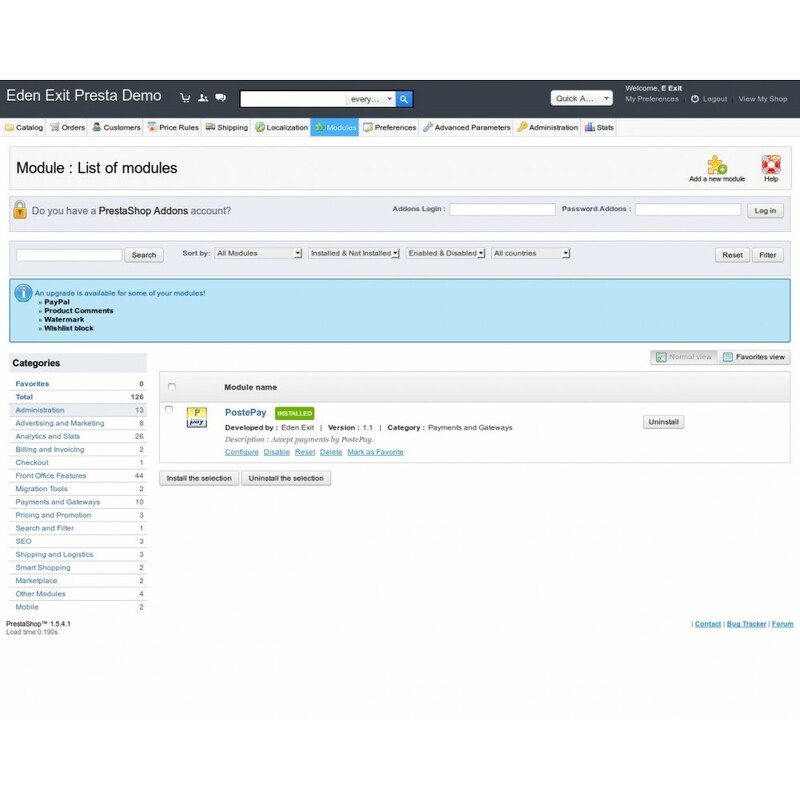 The Fake Carts Cleaner module for PrestaShop allows you to schedule a cleaning of abandoned carts that severely affect the overall performances of your shop. The PrestaShop Birthday gift module is a marketing tool that keeps you in touch with your clients by sending them a gift voucher on their birthday.